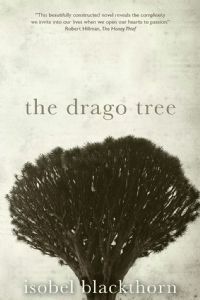 Bega Valley Shire Library is pleased to announce the launch of local author, Isobel Blackthorn’s second novel, The Drago Tree, in November. Programs and Partnerships officer, Scott Baker said the book launch will be a special event that includes live music from folk duo, Tidal Moon, to provide a musical background that fits the theme of the book. “The evening will take you on a journey to the exotic island of Lanzarote, with its dramatic landscapes and rich Spanish colonial history while you listen to Barbara Jeffrey and Jose Garcia of Tidal Moon perform traditional music from the island on voice, flute, harp and guitar,” he said. “This beautifully constructed novel reveals the complexity we invite into our lives when we open our hearts to passion,” author of The Honey Thief, Robert Hillman said. Ann's encounters with the island's hidden treasures becomes a journey deep inside herself as she struggles to understand who she was, who she is, and who she wants to be. Ms Blackthorn lives at Quaama and her first novel, Asylum, was published earlier this year. The book launch and musical interlude will be held at Bega library on Monday 16 November at 6pm. The event is free and everyone is welcome.